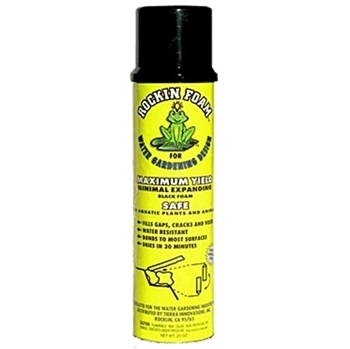 Pond Supplies, Pond Liner & Water Garden Supplies - Rockin' Foam Black Waterfall Foam - 20oz. Designed by professionals in the water garden industry, Rockin' Foam has better density for secure rock placement and design, better control during application and less waste (less foam to trim away). The patented dispersing trigger dispenses in any position and allows multiple uses from the same can. The black color is obtained by carbon instead of black dye. Rockin' Foam comes in a large 20 oz. can because the manufacture believes no one uses only one 12 oz. can when creating a water feature. 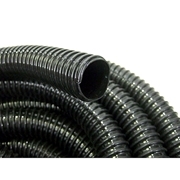 A larger can means a better value and allows for a lower unit cost.